The magnitude of the protests against the 1981 Springbok tour of New Zealand had various causes, which stemmed back to apartheid in South Africa. With apartheid still being in effect in South Africa, many New Zealanders felt the All Blacks should not be playing against a team, which wasn’t selected on equality and ability in the sport, but rather on their colour. Through this anti-tour protest, New Zealand was able to spread the awareness of inequalities throughout the world due to apartheid. One way in which the United Nations tried to abolish the apartheid era in South Africa was by getting nations to abstain from sporting contact with South Africa in December 1968. The General Assembly requested all States and organisations to ‘suspend cultural, educational, sporting and other exchanged with the racist regime and with organisations or institutions in South Africa which practiced apartheid.' They thought that this in turn would put pressure on the South African government to change their ways and give everyone equal rights in South Africa. This affected New Zealand as in the earlier days the all white Springbok team would play an all white All Blacks team. This was before the ‘No Maori’s, no tour’ in 1960. In 1959 the New Zealand rugby union reported that the All Black tour of South Africa in 1960 would be an all white team with no Maori people. This then lead to major protests against the upcoming tour. A petition was formed with nearly 160,000 signatures of people who were against the tour and encouraged the government to cancel it. T.P McLean, of the All Black Authority stated, ‘If it were not good enough for Maori’s, with all their great contributions to rugby and the development of New Zealand as a nation, to be invited to South Africa as part of a rugby team, it was not good enough for the team to go.’ However despite their efforts Labour Prime Minister at the time Walter Nash did not cease the tour. The labour government was at risk of losing the election if they called off the tour so they let it proceed. Protests to the tour continued with people even going to the extents to try stopping the plane take off with the team aboard. The All Blacks were unsuccessful in South Africa and lost their games. 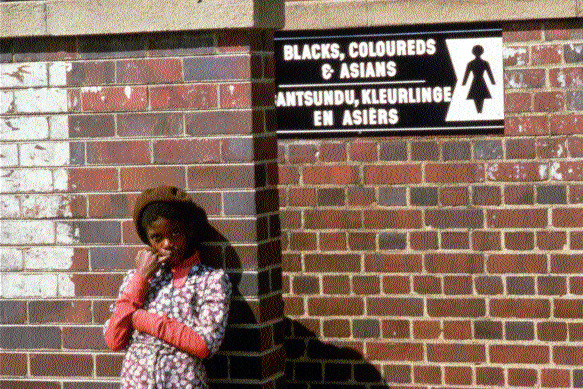 Apartheid even effected the toilets people could use. 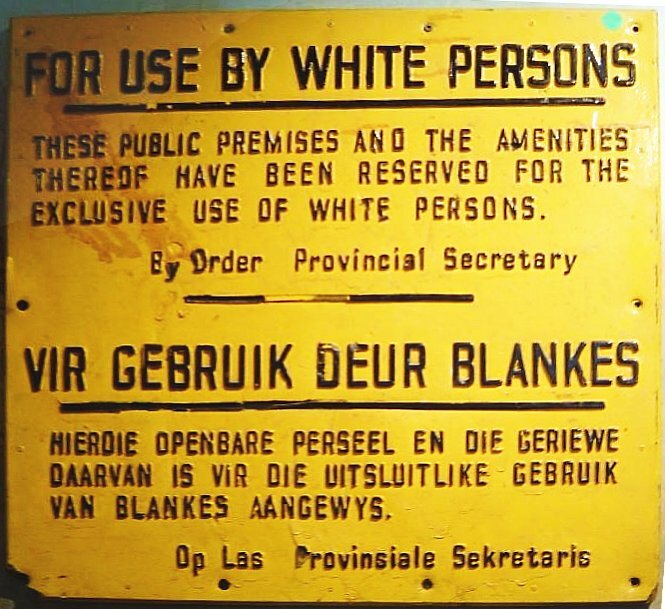 It was segregated so that non-whites had one toilet, while white people had their own toilets. Another example of segregation in South Africa. In 1968, again there was another tour proposed for South Africa, however yet again the Maori’s were not invited. Prime Minister at the time Keith Holyoake declined the tour and said, ‘as we are one people, we cannot be fully or truly represented by a team chosen on racial lines.’ This lead to South Africa changing the rules, with Maori people now being able to participate in the 1970 tour. However this did not suppress the protests against South Africa. Regardless, another tour was planned for 1973 in New Zealand. This tour occurred around the same time as the 1972 election. Prime Minister Norman Kirk was aware that if he decided to cancel the tour, it would impact on him wining the next election. So he then went on to give people the impression that the tour was still on. However once labour had one the next election, the police suggested to the government that they should cancel the tour due to fights and protests that would occur between oppositions. After no luck with getting the NZ rugby union to cancel the tour, Kirk had to announce he was cancelling it. This he said was because of the upcoming commonwealth games in Christchurch. He thought continuing with the tour would lead to African countries boycotting the games because of the tour. The Soweto uprising was a response to the way that the non-white people were being treated in South Africa. It is also known as ‘June 16’ and was a student lead protest that began June 16 1976. 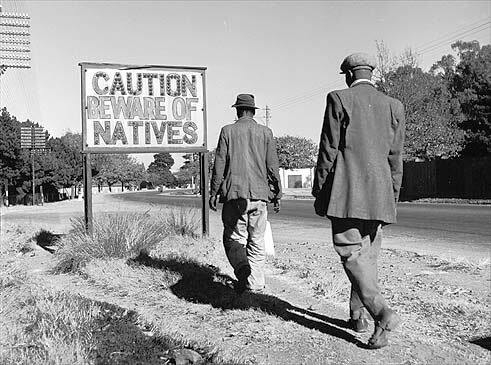 Around 20,000 people were involved in the protest in Soweto, which was in response to the establishment of Afrikaans as the medium of instruction in schools. 176 lives were lost, however it was said to be up to 700. 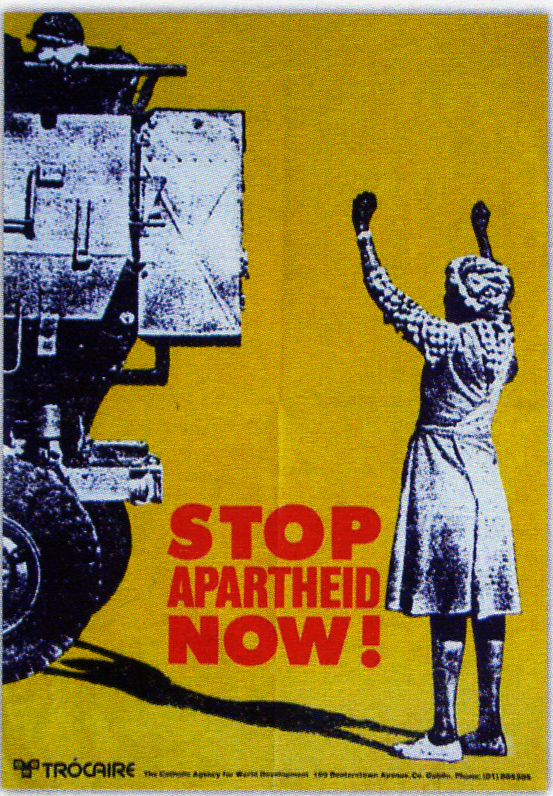 The Soweto Riots in South Africa raised awareness of the apartheid regime in South Africa. In the 1975 election in New Zealand, the National Party came into government. Their leader Robert Muldoon conveyed he would not stop the All Blacks from the 1976 tour to South Africa. People were bothered by this action, however despite public opinion Muldoon stood his ground on continuing with the tour. This affected New Zealand’s reputation with it being at an all time low at that point. At the Montreal Olympics, thirty countries boycotted the games, because New Zealand was attending. Despite all the pressure put on Muldoon, he kept his stance on the tour. The Gleneagles Agreement was formed in 1977. The agreement guaranteed to crush sporting contact between teams from South Africa. Regardless of The Gleneagles agreement, Robert Muldoon declared that New Zealand would not allow politics to interfere with sport in New Zealand. This then lead to the New Zealand Rugby Union inviting South Africa to tour New Zealand in 1981.